We are building a grassroots army to promote and protect the hunting way of life. Check out these incredible hunts with the world's best outfitters and the most sought after trophies and experiences with our industry's top advocates. HN19003 - Utah Elk Hunt for One with Donald Trump Jr. Winner will also receive a Weatherby Mark V Sporter chambered in 300 Wby. Mag. 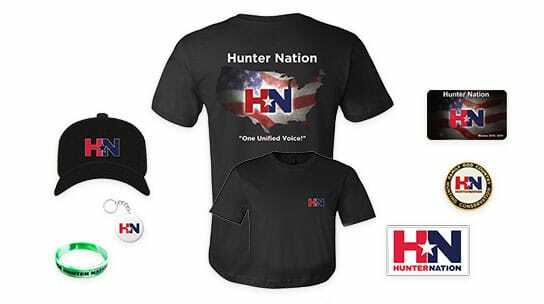 © 2019 Hunter Nation. All Rights Reserved.